Seattle Indian Health Board (Seattle, WA). Project Overview: To create a comprehensive recruitment, staff development and retention program that will ensure availability of sufficient entry-level staffing qualified to meet the unique needs of the center’s patients and community. To recruit interns and future employees through local colleges and vocational training programs, with a focus on outreach to American Indian and Alaska Native students. To provide skills enhancement opportunities and career pathways for current staff. Formalize existing partnerships with vocational schools and community colleges and incorporate include exclusive externships for American Indian/Alaska Native (Al/AN) students or those who have a desire to serve the AI/AN population. Develop curriculum for on-site externships and implement an “Extern to Hire” program where there is a shortened recruitment process for hiring externs. Create training modules to focus on skills gaps of current entry level staff. Identify career ladders to build in possible financial incentives through increased earning potential. Create How-To manuals for entry level staff. Enhanced partnerships with Everest College and Seattle Vocational Institute resulting in placement of 28 entry level externs, eleven of which were AI/AN. Development of training modules addressing hard skills and soft skills – computer use, E H R , customer service, cultural humility. Introduced customer service training for all externs and new hires. New staff development program formalized, featuring individual development plans, mentorship program, career ladders for Medical Assistant I and Medical Assistant II positions as well as a Lab Technician II position. Progress toward Patient Centered Medical Home. 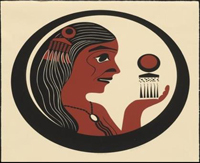 The Seattle Indian Health Board (SIHB) is a non-profit, multi-service community health center chartered in 1970 to serve the health care needs of American Indians and Alaska Natives living in the greater Seattle/King County area. The mission of the SIHB is to assist American Indians and Alaska Natives in achieving the highest possible physical, mental, emotional, social, and spiritual well-being through the provision of culturally appropriate services, and to advocate for the needs of all Indian people, especially the most vulnerable members of our community. Celebrating over forty years of excellence in health care, SIHB now offers clinical, community, chemical dependency, and traditional Indian Medicine services to over 7,000 patients annually.